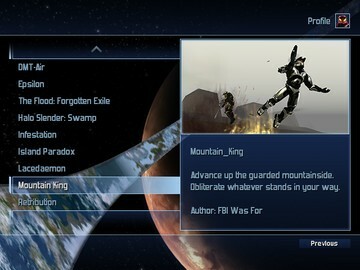 Halo Custom Edition Custom UI Files: Universal Ui Version 1. Halo CE's most popular functional interface has now been updated! Now be able to view and switch profiles at any time, from anywhere. Experience a redesigned interface layout, with high-quality images, cleaner lines, standardized spacing and colors. Hear new music carefully picked from throughout the Halo game series. Also, this update includes much better support for controllers and gamepads. To see all the awesomeness, give it a download and check it out! Welcome to the Universal UI. Why universal? Well, the idea behind this project is to bring together the best of all elements. Whether it be loading popular singleplayer maps without DevMode or discovering new and upcoming creations, this UI serves to better bring together the Halo Custom Edition community. Want to play the classic campaign? CMT levels? Project Lumoria? A ton of community Singleplayer levels and Firefight maps? You're covered! Also, you get to select the difficulty of any map that you load with the touch of a button. Plus, the multiplayer server list has been modernized and all interface elements have been slimmed down for easy navigation and quick game starting. Stay updated! The Universal UI also gets periodic updates to accomodate new releases and features. So what are you waiting for? 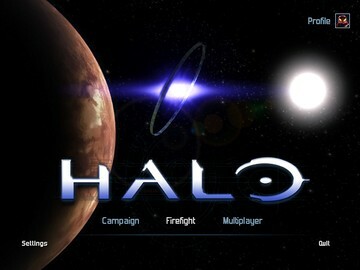 Download the Universal UI today, and start playing Halo CE like never before!